Only 50 minutes. That is the average amount of time that a patient spends at the new St. Clair Urgent Care in Bethel Park. Streamlined, efficient, comfortable and quick – those are the words most frequently used by patients who have experienced the sparkling and spacious new Urgent Care, St. Clair Hospital’s first. It provides immediate medical care for problems that are not life-threatening emergencies, but nevertheless require professional attention, such as sprains, simple fractures, animal bites, minor burns, upper respiratory infections, cuts in need of suturing and urinary tract infections. Staffed by board-certified physicians and nurses experienced in emergency and critical care, the Urgent Care brings a high level of clinical expertise and the St. Clair Hospital standard of excellence to this growing subspecialty of outpatient ambulatory care. At St. Clair Urgent Care, patients are typically seen within 15 minutes, then treated and released in another 45 minutes. St. Clair Urgent Care opened January 13 in Village Square, just across Fort Couch Road from South Hills Village mall. This convenient location offers plenty of free, valet parking, and patients and their families have easy access to the Outpatient Center’s café for food and beverages. Urgent Care is open 9 a.m. to 9 p.m. seven days a week (9 a.m. to 5 p.m. on major holidays). 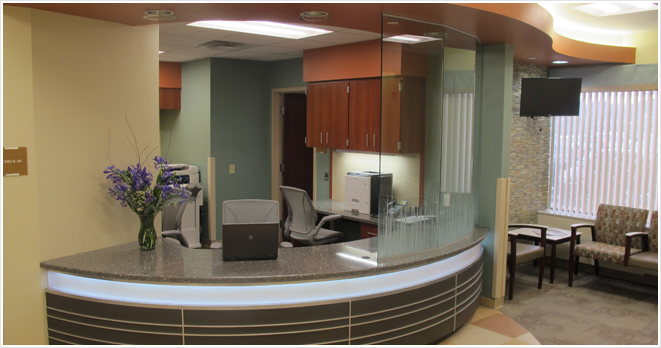 There is always a board-certified physician, registered nurse and x-ray technologist on site. To contact St. Clair Urgent Care, please call (412) 942-8800.